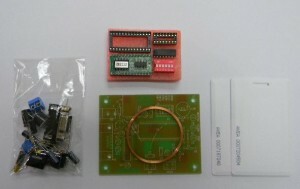 An low cost proximity card access control electronic kit. Can accept up to 42 proximity cards for access. Connects the proximity card reader to an embedded controller or PC for transmitting card data to application softwares. 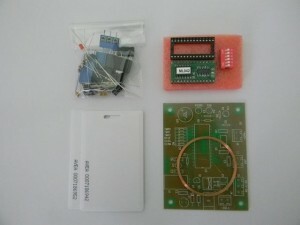 Easy to realize connection to PC through serial interface. "Testing Programe" is available for downloading in the download area. With "Time Recorder" software for logging the date, time and card ID. Export to plain text file or MS Excel file.